Why Should You Consider Medicaid Planning? Before you embark on Medicaid planning, there are a number of factors you need to consider. Medicaid planning is crucial for long-term care as this care option helps many families pay for care that they otherwise can’t afford on their own. In order to take care of yourself or your loved ones should long-term care assistance be required, having a set plan in place now can be beneficial for an easy transition into the care system. One of the best reasons to consider Medicaid planning is if your income is at or well below the poverty line. This is one of the key requirements for Medicaid eligibility. Also, understanding the many aspects of Medicaid, other than the income eligibility requirements, is essential before you embark on planning. An experienced elder care attorney can help you navigate the ins and outs of the process. If you have good health, then it is probably the best time to start Medicaid planning. Medicaid planning might mean using an irrevocable trust, which would build up a five-year look back in order to qualify for Medicaid. 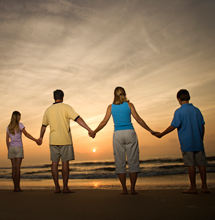 Greater protection and more control are the two main benefits of using an irrevocable trust to provide gifts for your children. Perhaps you have some money tucked away for long-term care but wish to also seek additional assistance with Medicaid. Working alongside a professional attorney experienced with Medicaid can be helpful for identifying sources of income should long-term care become a necessity. In addition to Medicaid, looking into many different forms of long-term care insurance could be helpful when planning for future long-term care. The Elder Law Firm PC offers assistance in Medicaid planning for Michigan residents wanting help in paying for long-term healthcare costs. If you have a question regarding Medicaid as well as other long-term care options, please feel free to call us at (877) 933-7252 to learn more about the many avenues you can take to take care of you and/or your loved ones. 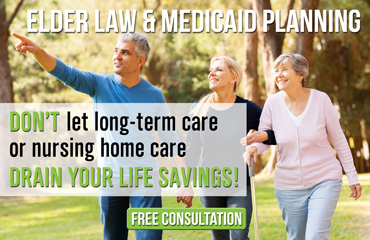 Residents in the Grand Rapids area can also attend a free seminar led by attorney The Elder Law Firm PC several times a month about Medicaid planning. Call to reserve your spot at this exciting and informative event.